Do you remember the orange Huayra I spotted during my official factory visit? Well, the car is just arrived at the dealer SPS in Hong Kong. In October 2013 the car was under assembling at the factory, in February it was completed and showcased at the Pagani show-room and now it has been spotted with test plate by our photographer Linus Lam Photography in front of the SPS entrance. This car is the second Huayra built with an orange paint, it is right hand drive and its chassis number should be #0**. It features a two tone colors combination Marbella Orange and fully visible carbon fiber, orange brake calipers and polished magnesium wheels, while the cockpit is characterized by orange and black leather with orange stitchings. 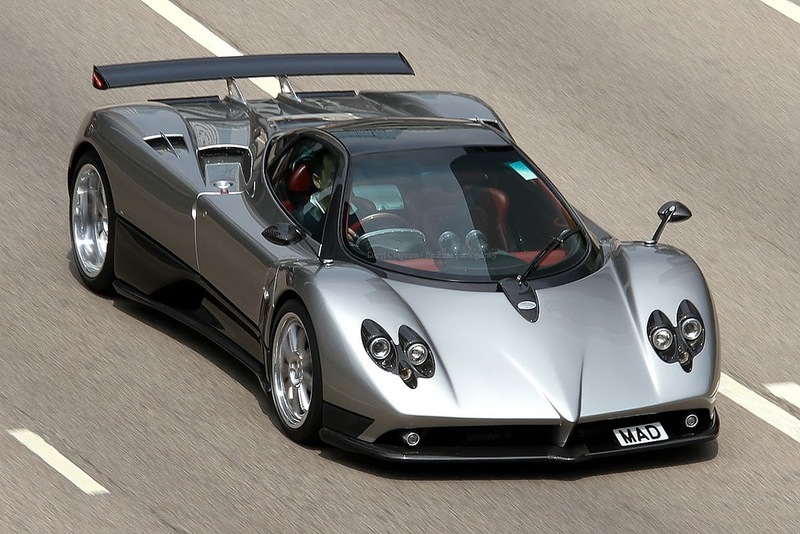 This car is pretty identical to the taiwanese Huayra #088, but you can recognize it because the #088 is left hand drive, it features matt gold wheels and the aluminum parts such as the headlights surrounding are anodized. This car is also equipped with the track pack. According with our photographer Linus Lam, the guy who was driving the car is the owner of the well known Zonda F Club Sport with the famous custom plate "MAD", so I guess this car belongs to him, but it's just a guess.